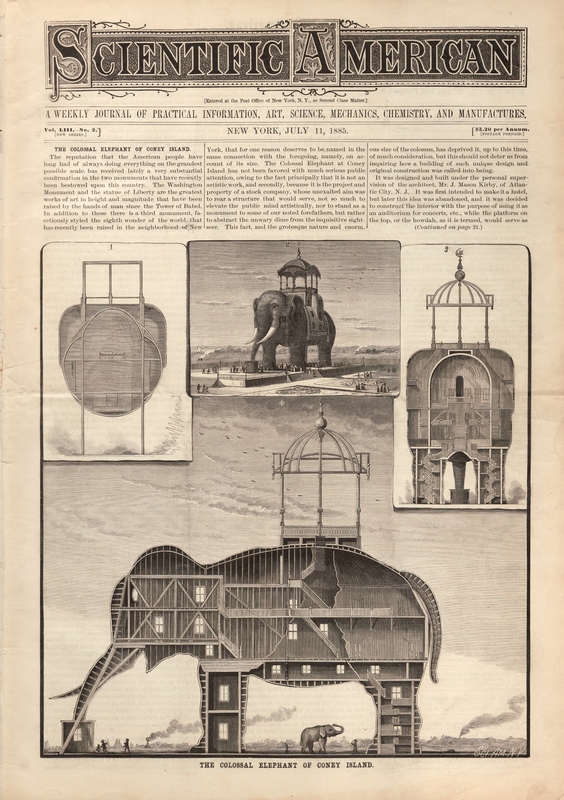 Most of you know of (and kindly indulge) my obsession for Elephantine Colossus, the giant tin-skinned, elephant-shaped structure that stood on Coney Island between 1884 and 1896. Here’s my latest find, which arrived today all the way from Germany (you’ve got to love eBay!). 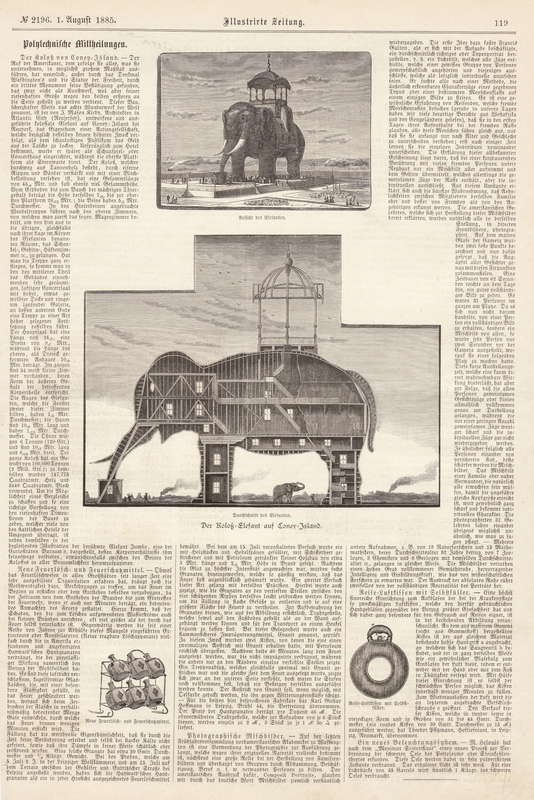 It’s a page from the Illustrirte Zeitung [or Illustrated News] for August 1, 1885, showing our Elephant in head-on and X-ray views. These are the same images that accompanied a Scientific American feature a month earlier. If anyone reads German, I’d love to have a translation of the article in the left column — “Der Koloss von Coney-Island” — though I suspect it’s the same recitation of hyperbolic statistics that followed the Elephant wherever he went!